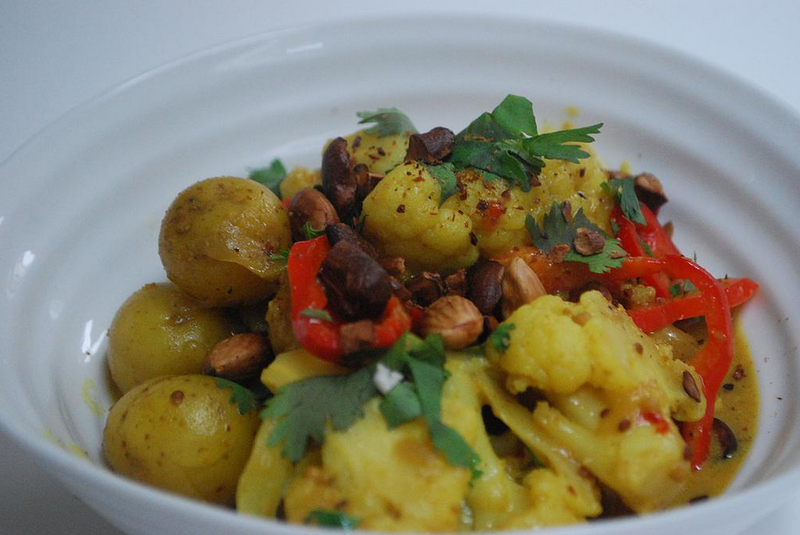 Try not to be daunted by this recipe. Once you have done all the prep it is literally just a case of throwing everything into the pan and forgetting about it. We don’t eat red meat too often so when I do decide to cook it I make sure it’s a goodie and the end result for this dish is tender, sweet, melt-in-the-mouth lamb that all the family will enjoy. Plus, this is great to freeze! 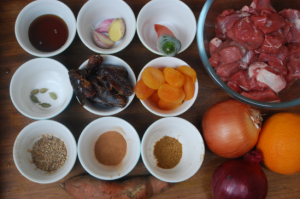 This recipe was inspired by Skye Gyngell’s lamb tagine in “A Year in my Kitchen”. It ticks lots of boxes in terms of health too, with fantastic immune supporting ingredients and anti-inflammatory spices. Enjoy! Brown the lamb in batches so as not to overcrowd the pan. Colour equals flavour at this stage so try and get a nice caramelised brown. After browning the meat take it out and place in a bowl. 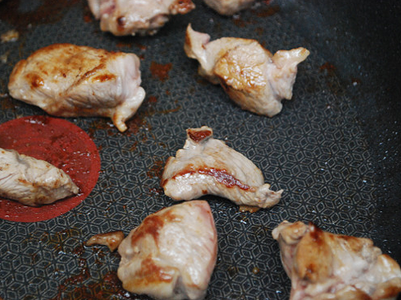 Deglaze the pan with some water. This simply means to get a small cup of water and add to the pan. It should bubble away and bring up the lovely caramelised pieces that have been stuck down to the pan. 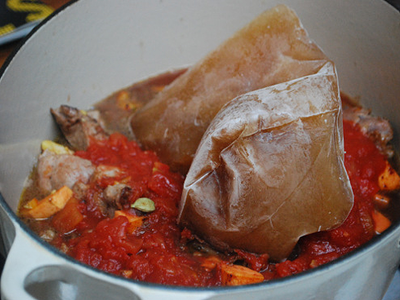 Help to lift the pieces off with a wooden spoon and keep the juices for adding to the casserole later. 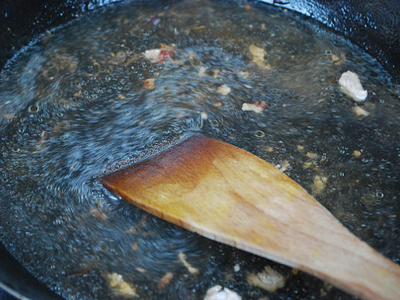 However, if your pan got dirty and black just discard the juices as they will taste bitter and add a bit more stock later. 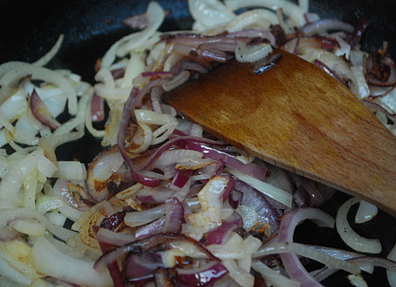 Add a touch more oil to the pan and sweat your onions down until soft and translucent. 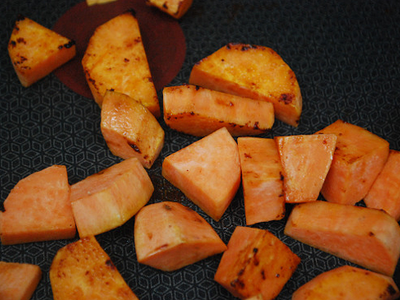 Take the onions out of the pan and brown your sweet potato pieces just to get some colour on them and soften them slightly. 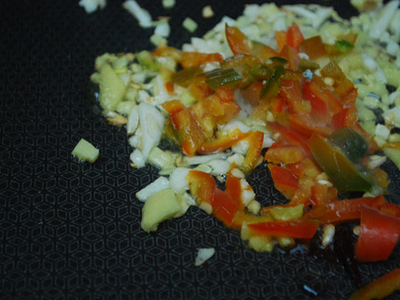 Fry your garlic, ginger and chillies for a minute just to cook out their rawness but careful not to burn. 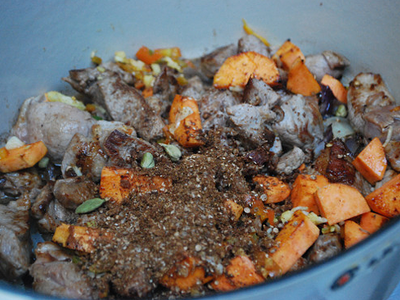 Pop your lamb, sweet potato, garlic, ginger, chillies, onions and spices into a casserole dish. Bring up to the boil and then turn to a simmer and place the lid on top. 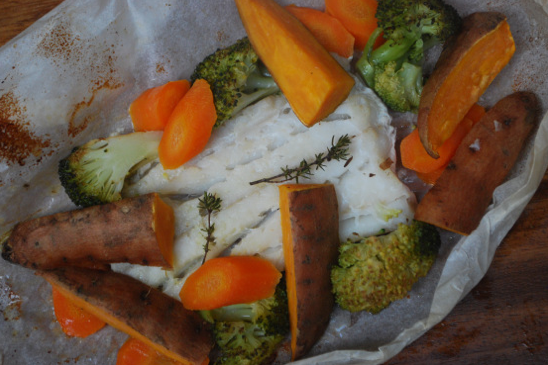 You can either leave it on the hob at this stage or pop it in the oven (160C) for 1½ to 2 hours. 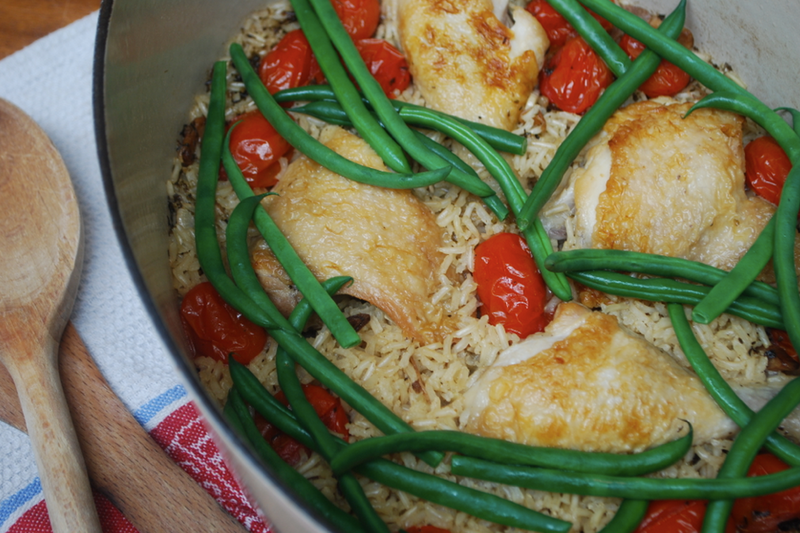 Add dried apricots, prunes or dates, check the seasoning and cook for another 20 minutes. 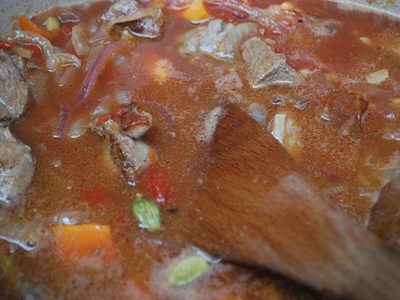 You want the sauce to thicken and the meat to be so soft you can cut it with a teaspoon. 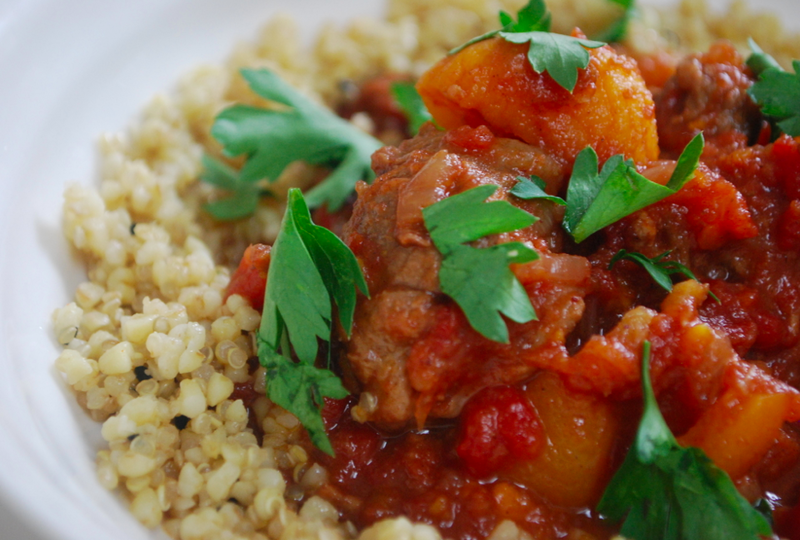 This is delicious served with fresh couscous or bulgar wheat as well as a roast sweet potato.